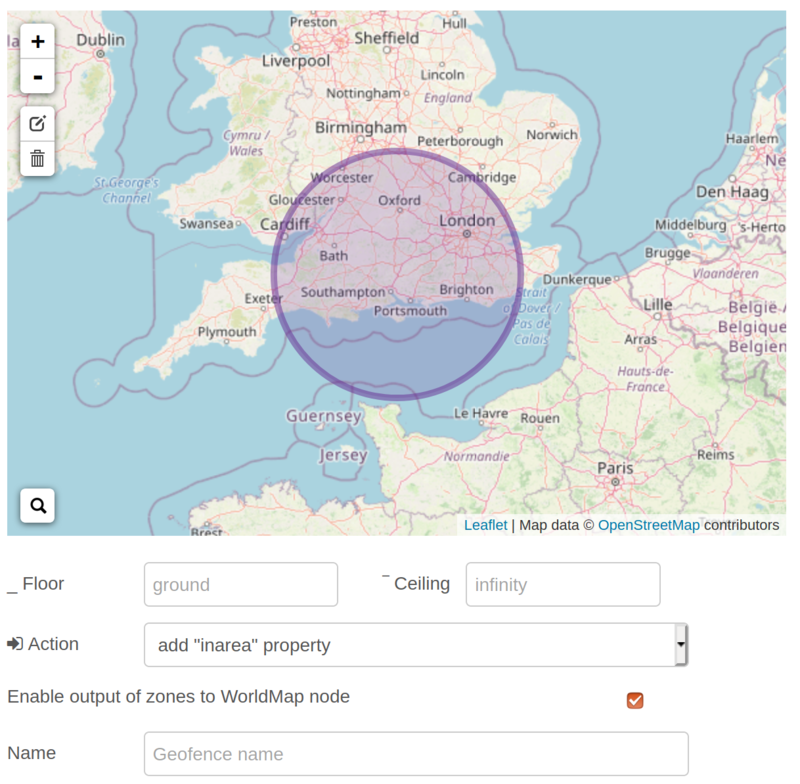 Region can be circular, rectangular or polygons and are drawn on to a map in the config node. Messages can be filtered depending on if they fall inside or outside the given region or the node can append the node name to a list of areas the msg falls in (to allow the chaining of geofence nodes). And also includes the distance in meters from the centre (or centroid for polygons) of the region. Possible breaking changes moving from version 0.0.x to 0.1.0.